We are excited to invite you to visit with our high school students in our new high school building! 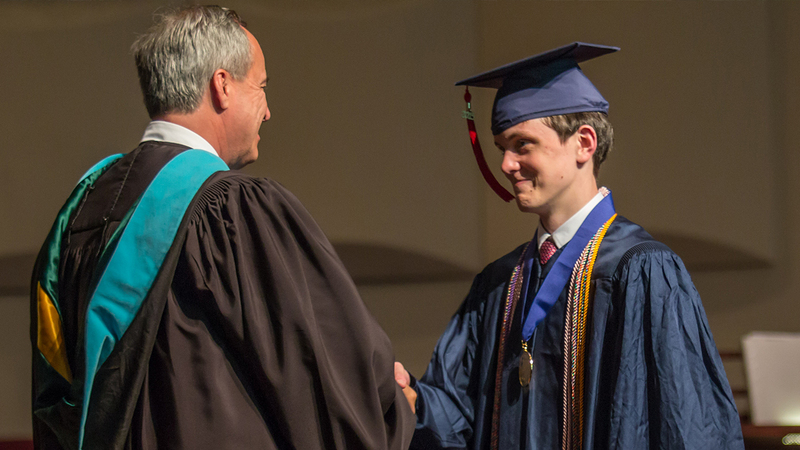 College admission representatives can now go to RepVisits.com to schedule an appointment with Covenant Day's high school. Our college fairs are hosted in the beautiful and spacious Christ Covenant Church Community Life Center at 800 Fullwood Lane, Matthews, NC 28105. Please join us for our annual spring college fair. This year we are hosting our fair on Monday, March 11 from 10:30-11:45 a.m. followed by a casual lunch catered for you after the fair. This is the day after the Sunday, March 10, NACAC fair at The Park Expo here in Charlotte. If your travels are bringing you to Charlotte for the NCAC fair, we would love for you to consider staying over until Monday to attend our fair. Please reserve your space through this link. We have room for 50 so RSVP ASAP! We look forward to having you on our campus. For directions to the high school at Covenant Day School, our address is 201 Covenant Church Lane, Matthews, North Carolina, 28105. Please see the map below to find the high school on our campus (D). The Guidance Office is located in Building D (the high school building). The Community Life Center is the bottom-most red building on the map.